Explore the area around Albi, follow the Tarn Valley and stroll along the river upstream. Combine stops to admire the architecture and the green landscapes of the valley. Would you have a swim in the Tarn waters? Enjoy your visit in the Albi region! We suggest you a trip idea with a start from Albi for a stroll all day long (you can have a picnic on the Tarn riverbanks) or for the half of the day. 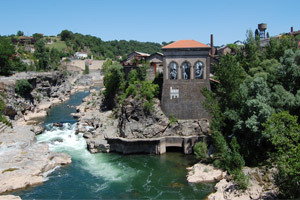 Au programme : to have a walk along the Tarn river, to stroll next to the meanders, to get into nature at the doors of the city and to enjoy sport and water activities.